Will social media impact the general elections? BELIZE CITY, Wed. Oct. 14, 2015–Facebook has become Belize’s latest and perhaps most popular communication forum. Belizeans are connected to “friends” across the street, throughout Belize, in the Diaspora and around the world. Facebook, in just ten short years, has indeed become a global cultural phenomenon. According to Internet World Stats, the Caribbean has an estimated population of 41,873,409, of which there are 17,211,359 Internet users as of December 2014, with 6,397,080 using Facebook – the most dominant social platform, with over 1.15 billion active members worldwide. Facebook remains the most popular platform for Caribbean nationals, with Twitter in second place. The Bahamas has the highest internet usage for the region, with more than 90.5% of residents online, according to World Development Indicators. There are literally thousands of Belizeans using Facebook, but only a very small percent of that number actually “post” or “share”. The largest number of Belizean Facebook users, it appears, are there only to “fass”, but “fass” or not, Belizeans are online. Over the last seven years, and more intensely in the last three years, Facebook has become a major medium of free exchange and source of breaking news. While it has its drawbacks, Facebook has become the place to find out what Belizeans at home and abroad are thinking, at any time of the day. It is a forum for lively discussion on issues, even some of which are forbidden in the local media of Belize. Facebook has also become the forum for a conversation about governance of Belize. While official UDP and PUP statements are not made via Facebook in response to queries or allegations, it is a medium through which their supporters try to defend their party’s position. The United Democratic Party (UDP), does have an official Facebook page, but the People’s United Party uses only individual pages for their candidates. But how significant is the use of this “tool” in elections? In 2004, Barack Obama, then a long-shot candidate for the US presidency, developed an effective online/digital campaign which made heavy use of social media. However, as most candidates won’t have the financial backing or extended team that President Obama did, they should consider a few things before campaigning on social media. Nerissa Golden of Goldenmedia and Ursula Barzey of Moxee Marketing say that over the next 18 months more than 10 Caribbean countries and Overseas Territories will be heading to the polls to elect new governments; and to not include a definitive social media strategy in their campaign could mean a loss of power for incumbents to parties prepared to win by any means necessary. “Social media has become the most immediate and affordable means of communicating. While Caribbean governments have initiated the use of social media platforms such as Facebook and Twitter, there is this sense that they are to follow a trend without understanding it is the space in which the electorate will deliberate on whether they want to reelect the same team or put new people in power,” she said. 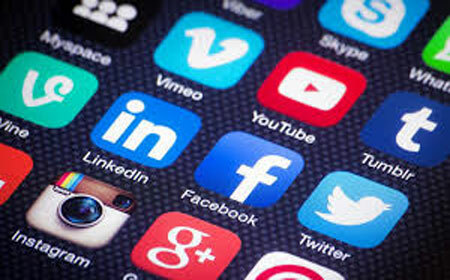 “The present governments [in the region] have been in power for four or more years and within that time, the power and influence of social media in the region has been amplified significantly. This means you can’t use it on the fly hoping for the best, but be very intentional about the goal,” explained Golden. So how will Facebook (FB) factor into next month’s election? Anyone who frequents Facebook knows that there is a lot of chatter and some serious conversations. The chatter outweighs the conversation, but there is undoubtedly a forum for the exchange of ideas. Do you think that social media will significantly impact the next election? Why, or why not? “I certainly believe that social media will have a significant impact on these upcoming elections for a number of reasons”, wrote Raymond Lashley, another Belizean in the US. He said, “You can hear politicians, including the PM, routinely reference policy positions by respected bloggers”. “It would be foolhardy of any of the political parties to be dismissive and not regard the importance and relative impact of social media”, Pipersburgh added. “In short, social media is an equalizer of sorts. It gives voice to the once voiceless. It provides a medium to be heard where once one would have been lost in the shuffle. Although, as I’ve mentioned before, empirically speaking, it’s hasn’t been quantified, there’s still no denying social media’s impact. Not one politician in Belize would rather take the chance and not use social media to dispense their propaganda,” he said. Belize Abroad continues: “Your question remains virtually unexplored in our young democracy, but the effect of social media on politics has the potential to be quite distinct. Sadly, I am of the view that in this election cycle, the biggest effect will likely be on independent voters. Nerissa Golden also recommends that politicians not overlook the Diaspora effect. “Although they cannot vote in local elections, family and friends in the Diaspora can be a major influence in deciding who will win. The Diaspora use social media consistently to search, share and celebrate what is happening at home, often before many on the ground are aware. If they are able to grab the passion and purpose of a candidate and share that message within their network, the result is that those at home will give consideration to the officials whose names and images come up more consistently and effectively in the spaces where they spend the most time, which is online,” he said.